Also announced today was Windows Phone 8 by Microsoft. Last week, they announced Windows 8 and their new Surface tablets, and today comes the phone version of that. I’ve been a Windows Phone user for a while now and even though I switched off to Android and the iPhone in between, I still came back to Windows Phone and am using the Nokia Lumia 900. I’m anxiously awaiting the WP8 devices, mainly the Nokia Lumia 920. 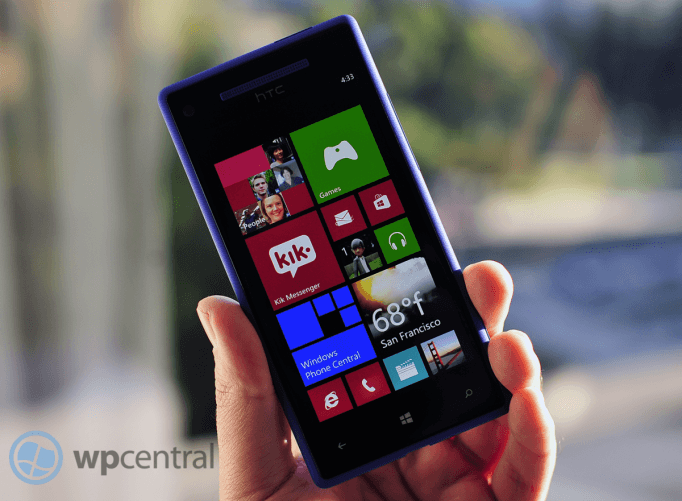 The HTC 8X looks amazing, but I’ve been happy with the build quality, reception and exclusive apps on the Nokia that I’ll be sticking with the brand. First of all, Windows Phone is no longer using their old mobile kernel. Instead, they took the Windows NT kernel and made Windows Phone share the same core as other Windows 8 devices. This is great for developers and should offer them a more seemless way of developing apps across the platform. Another feature is the resizing of tiles on the main screen. In Windows Phone 7, everything was a pre-defined size, but now you can customize the size of every tile. They’ve enhanced the old Group in the People Hub and have now added Rooms. In their example, you can create a Family Room and add your family members. From there, you can do group messaging/chat, share calendars, etc. Another exciting feature is the Kid’s Corner, which allows you to select apps that you want your kids to access when they use your phone. Instead of sliding up to unload your phone, the kids slide across and all of their apps appear that you’ve given them access to. They’ve enhanced the Bing search and all of the Bing features including Local Deals, Movies (info, time, reviews), Bing News and Top Videos when you scroll right within the Bing app. •On-screen Flash control – Turning the flash on/off/auto was previously buried in the menu on Windows Phone 7. Windows Phone 8 makes it a permanent icon on the screen. Tapping it also flashes the text of the selection briefly on screen for a good visual confirmation. •Photo Review – In WP7, users would see about 1/12 of the previous photo on screen in the camera with an arrow. Grabbing that tidbit allowed you to review your photos on the fly. Now, it is just an arrow and more interestingly, it is dynamic. By that we mean it is based on your orientation: horizontal results in a horizontal film strip, but holding the phone vertically will match that. They’ve also added the ability to mutli-select photos in the Pictures Hub, giving you the ability to delete or share the ones you have selected. Rooms have five areas: members, chat, photos, calendar and notes. Under the members section, you can single-tap invite your contacts to your new Room. You can name the room and even add wallpaper to it to give it some flare. The Chat area is built off of Microsoft Messenger and allows users to instant message each other. Photos and Notes allow you to share those items, including videos while Calendar is just that, a center for sharing appointments. Finally, you can pin that Room to your Start screen where the Live Tile will keep you posted on any updates via Notifications. You can now have a “live lockscreen” and live wallpapers either from Bing or other apps like Facebook. You can customize 5 notification icons to show you missed alerts on your homescreen as well (3rd party apps will be up to the developer to add this feature). Skype will be a little more integrated in Windows Phone 8. It will let you run it in the background, without draining your battery. It will add its contacts into your People Hub, letting you Skype them from their contact card. You can take a Skype call just like a regular phone call. Pandora is coming! No announcement date yet, but along with it is one year of ad-free music for Windows Phone users. The other apps include Angry Birds Star Wars, Temple Run, Words With Friends, Urbanspoon, etc. Data Sense is a new feature that will allow users to save money by managing data. It works by using the cloud to compress information before being sent to your phone, thereby cutting down on bandwidth. It can also help you find Wi-Fi spots to offload data from your carrier and become more aggressive as you data limit is reached. Data Sense though is carrier-supported and integrated, so don’t expect it on all Windows Phone 8 devices, though surprisingly Verizon will be the first out the door with it with other carriers following in 2013.